← WHAT Kind of Tongue?! 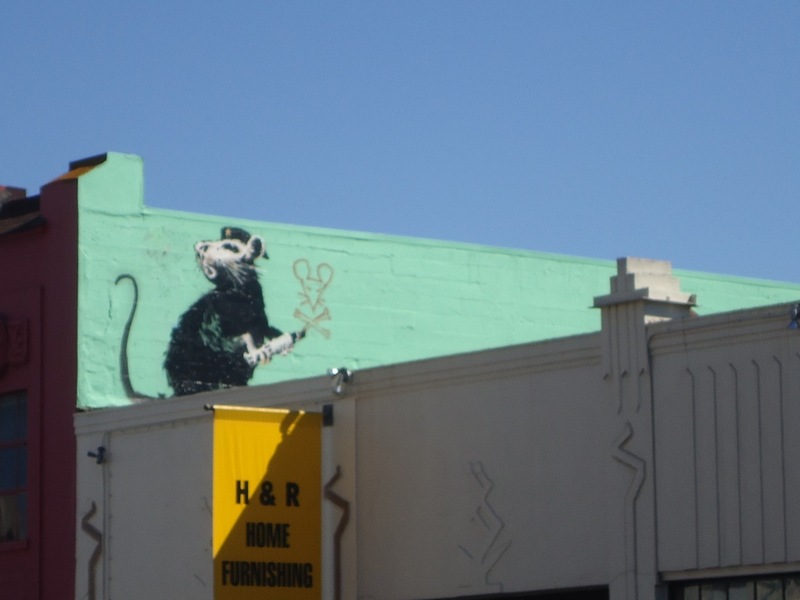 Beautiful SOMA Banksy – Hot Rat! Banksy on 9th St. SF. Photo: Gay Highwaymen, Dec 2010. Banksy! We snapped this shot on 9th St between Folsom and Harrison Streets in San Francisco’s SOMA (South of Market) district some time back. Popped up “just so” during last year’s run of Exit Through The Gift Shop. Hey, B,…if you ever want to extend your marvelous marks into the rural fabulosity of NorCal, you are invited. Hospitality, anonymity, great groovy walls and other cool surfaces guaranteed! This entry was posted in Activism, ANIMALS: Human and otherwise..., Art and Artists, Collecting, DIY and Maker Culture, Photography, San Francisco, Signage, Street Art, Grafitti, etc., Subcultures and tagged Art, Banksy, Culture, Exit Through the Gift Shop, Film, Folsom St, Grafitti, Photography, Rat, San Francisco, SCANDAL: Politics, Crime, Revolution and More., Signage, SOMA, Street Art, Grafitti, etc.. Bookmark the permalink.